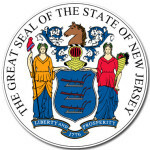 Individuals wishing to report suspected elder mistreatment occurring in the home should visit the New Jersey Adult Protective Service Providers Link to contact specific county offices directly. If you suspect elder mistreatment in long-term care facilities, in state line call 1-877-582-6995 for help. Call 609-943-4023 to report suspected elder mistreatment in long-term care facilities, out of state line.